Discovered by Peter Gabriel Charlie Winston the great songwriter arrives with his new album to the Protected content after two years! 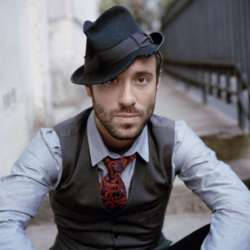 A loose hobo, who is a real multi-instrumentalist talent Charlie Winston can play drums, piano, guitar and more. He'll present his fifth album titled Square 1 at the Protected content on February 10th. Back in Budapest after 2 years. I love his music.